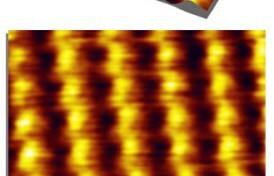 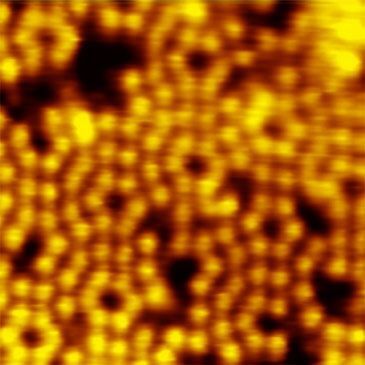 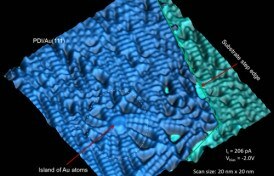 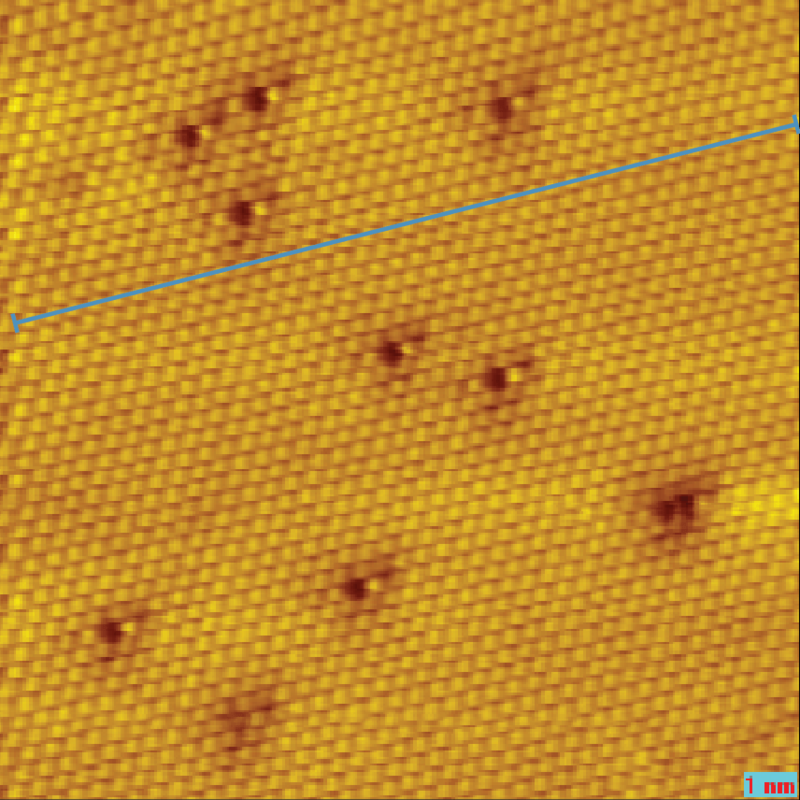 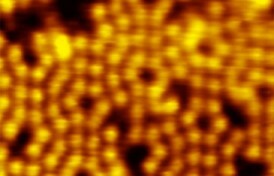 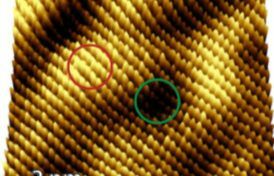 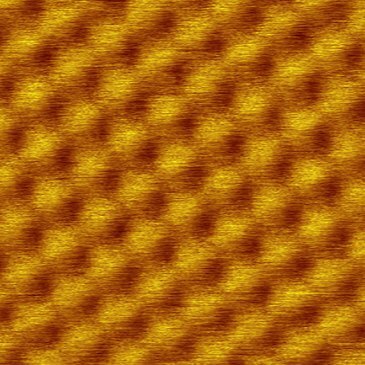 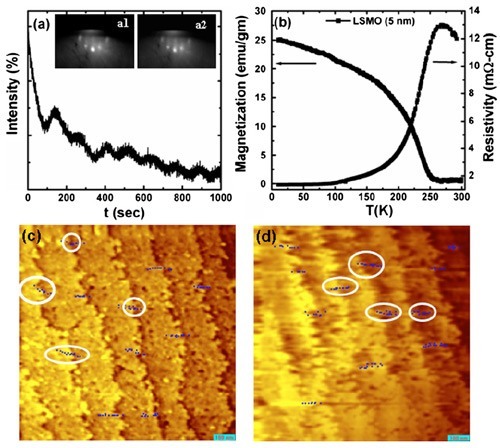 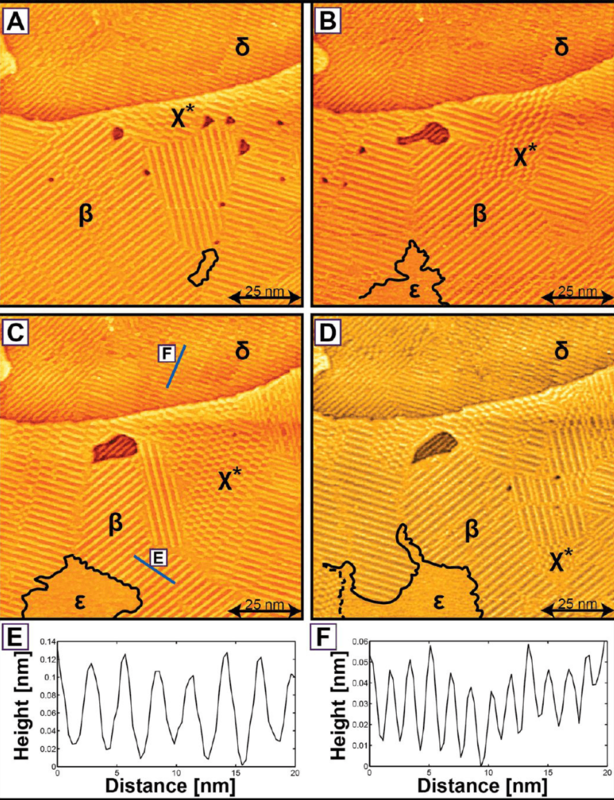 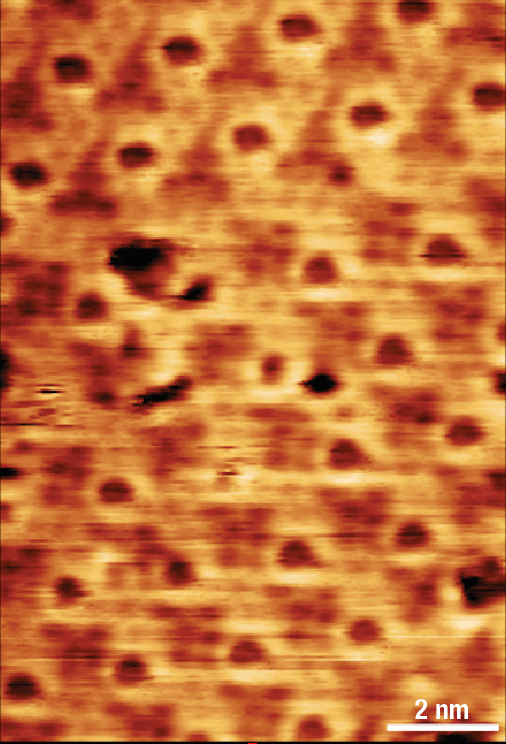 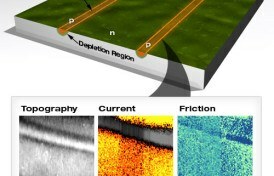 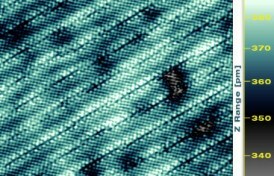 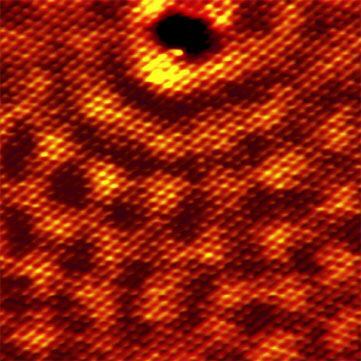 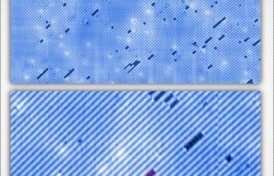 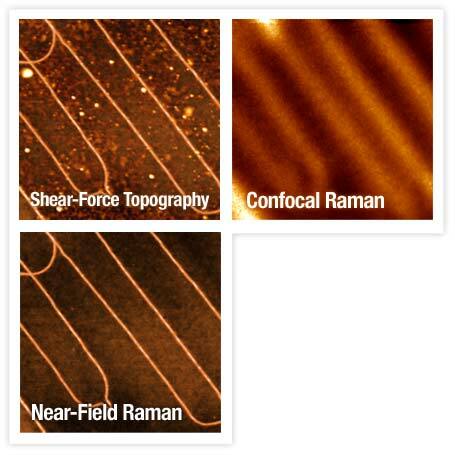 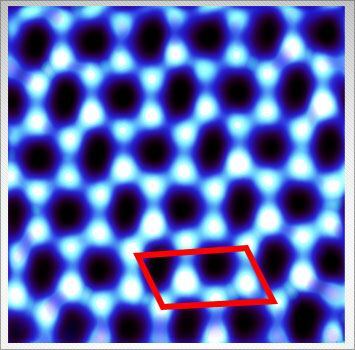 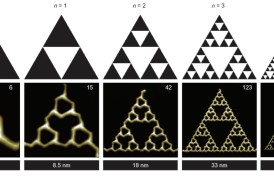 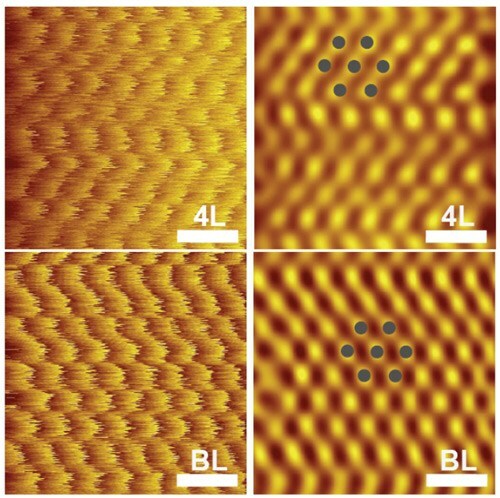 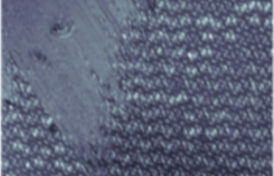 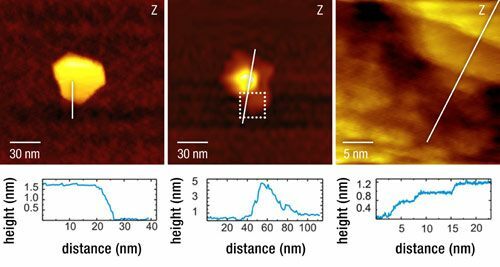 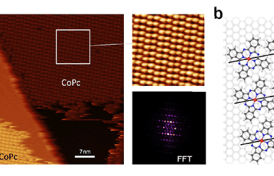 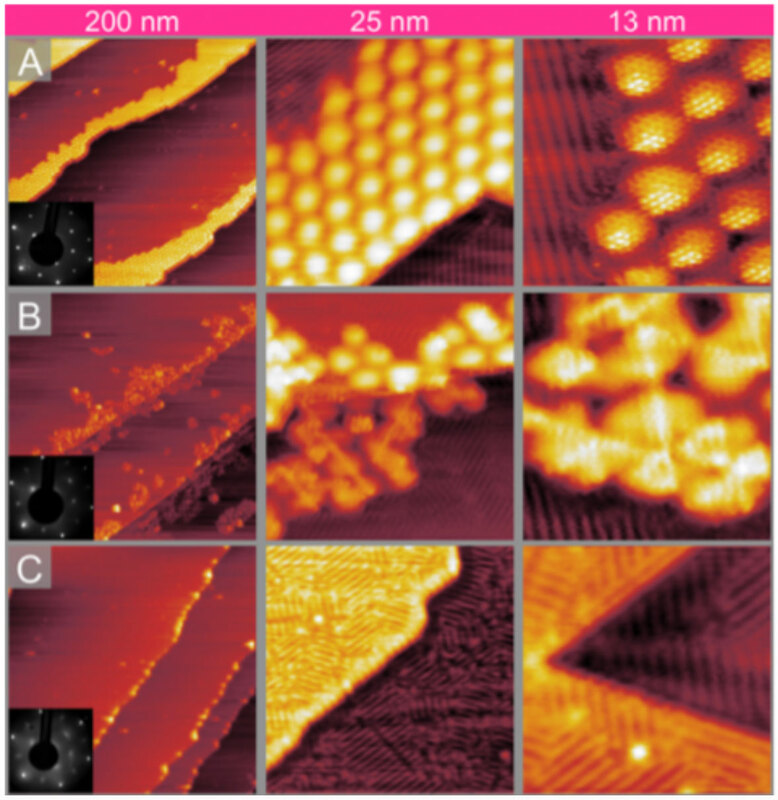 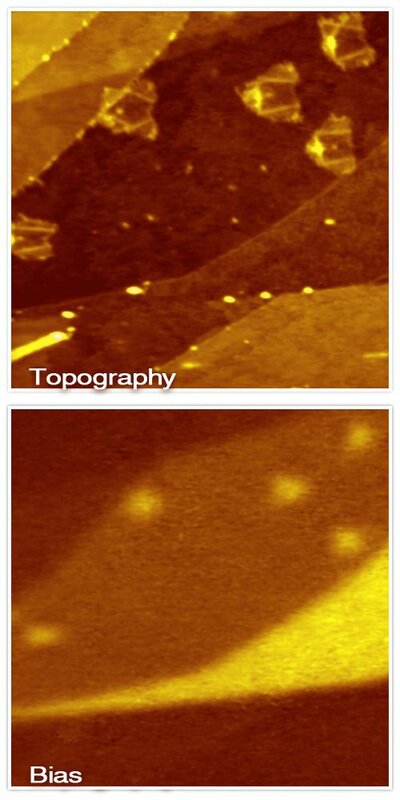 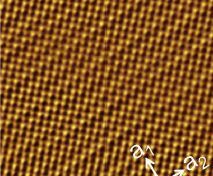 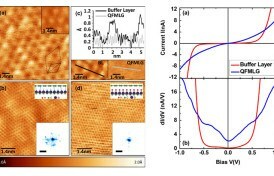 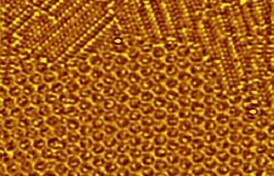 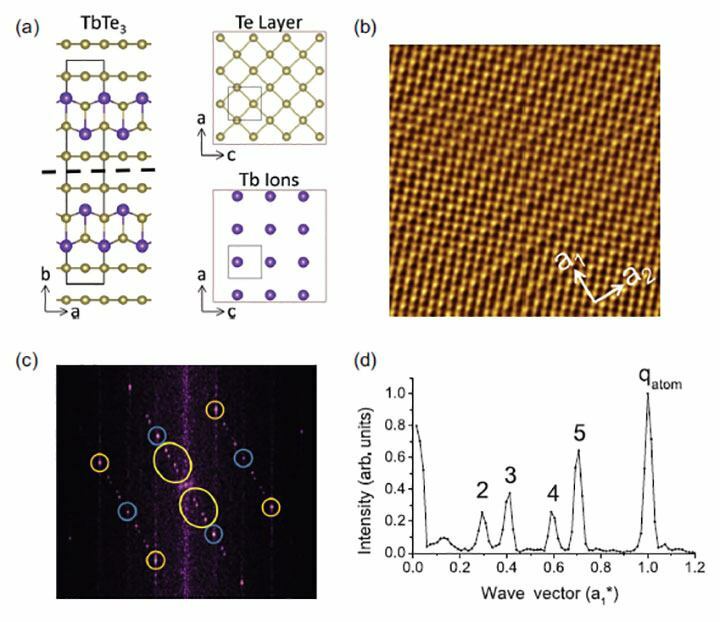 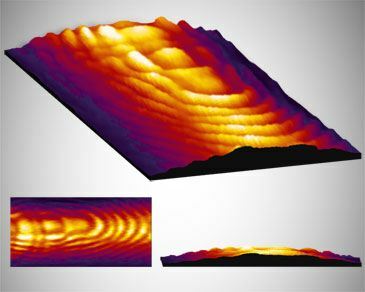 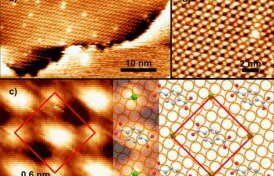 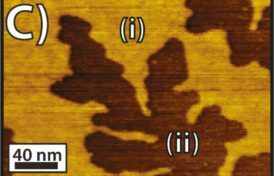 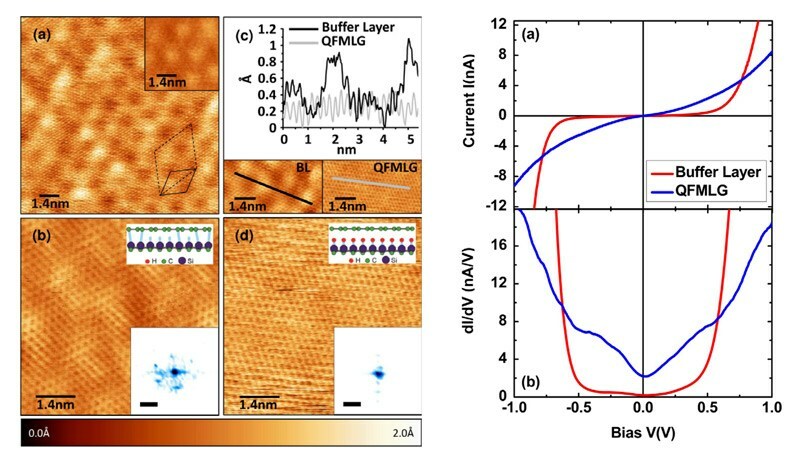 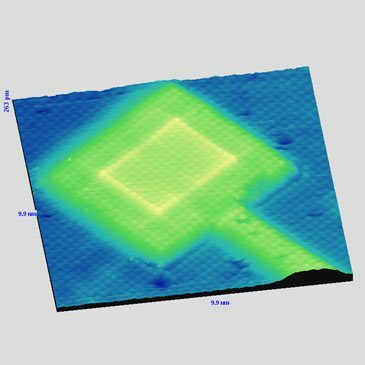 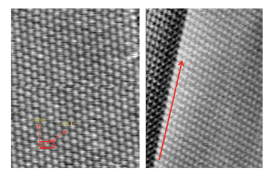 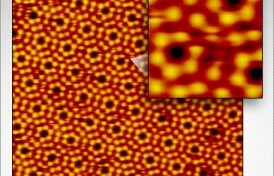 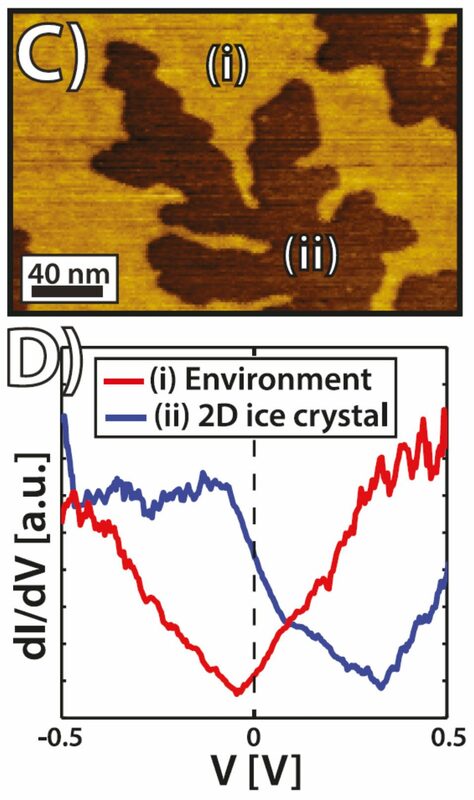 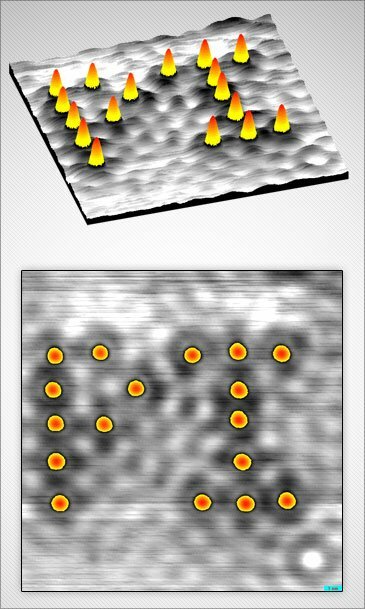 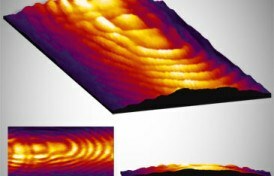 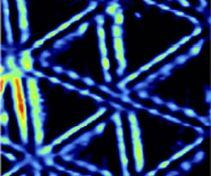 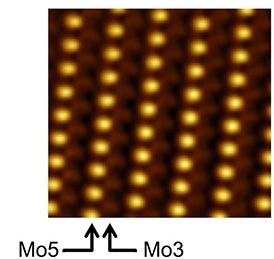 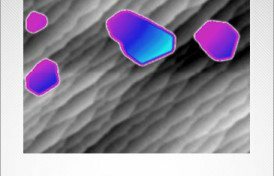 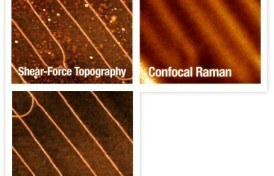 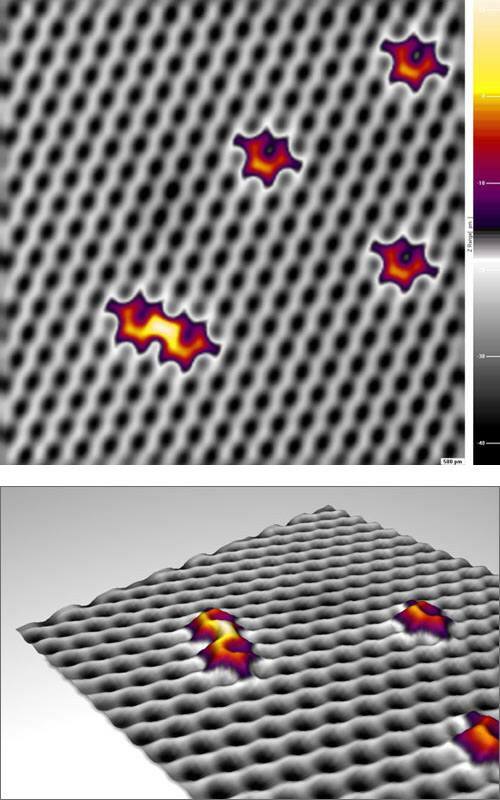 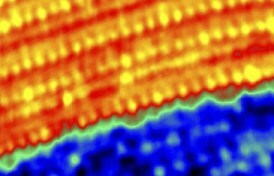 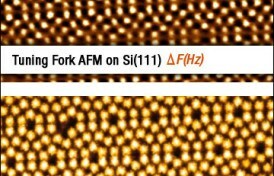 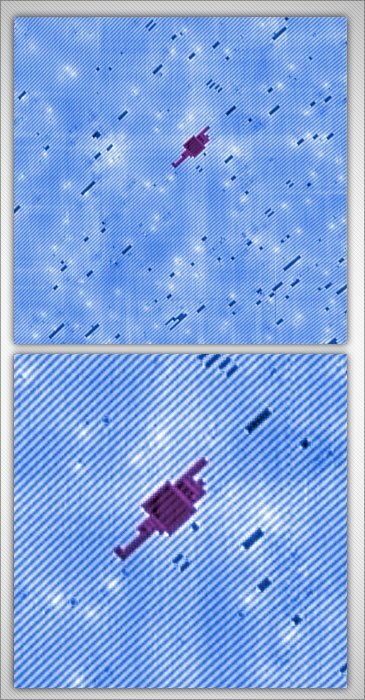 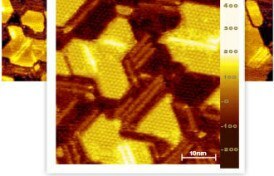 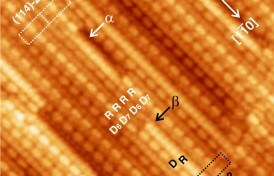 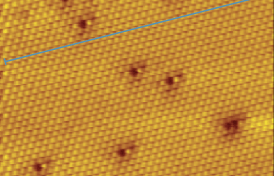 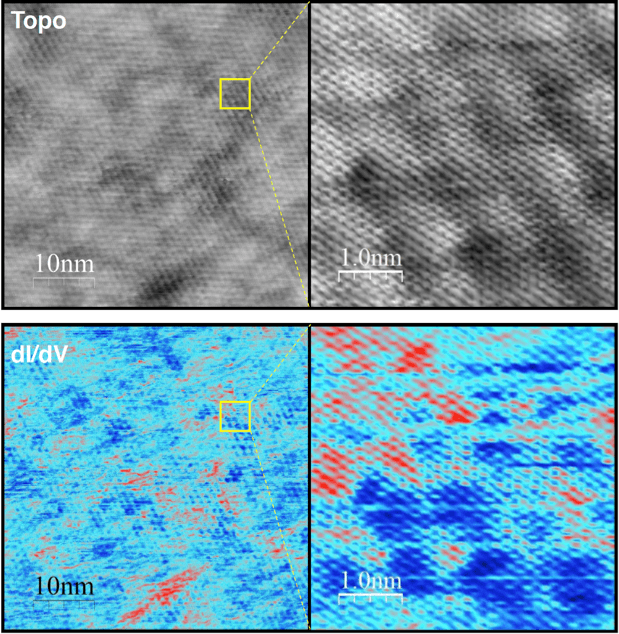 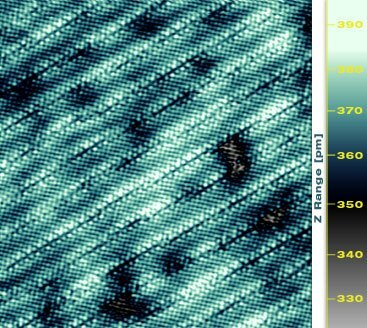 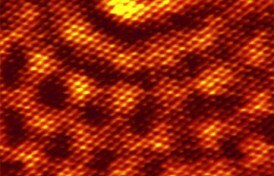 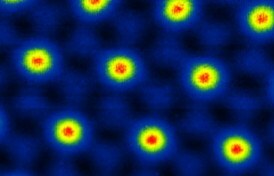 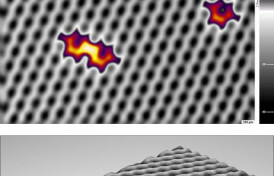 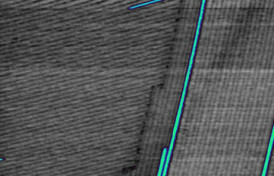 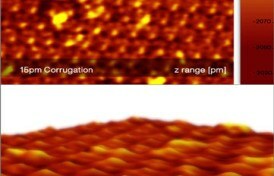 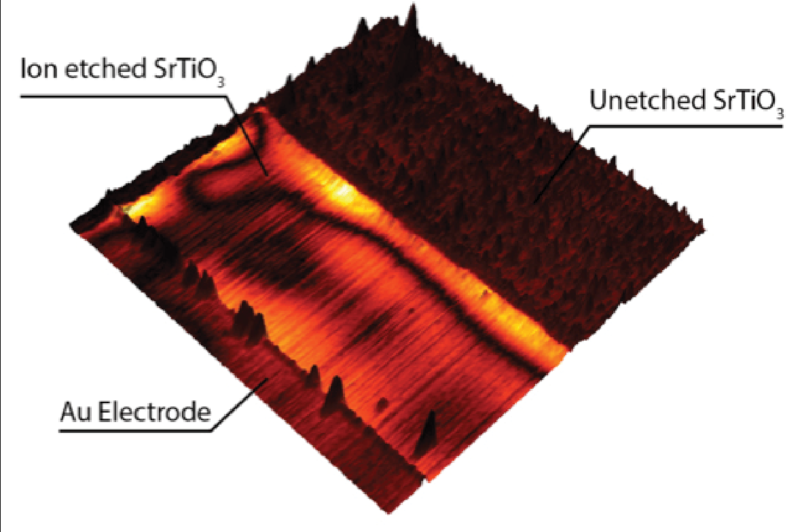 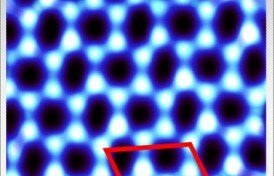 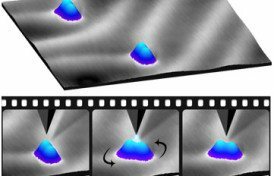 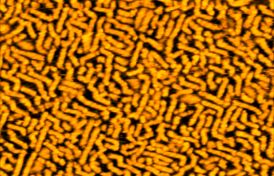 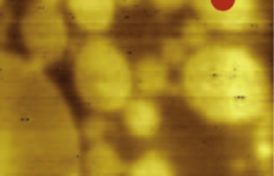 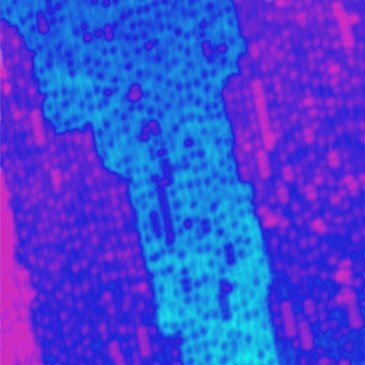 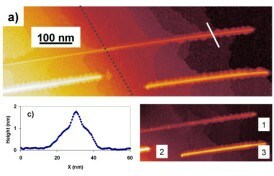 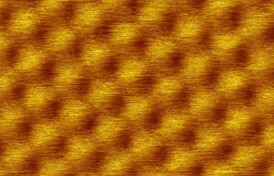 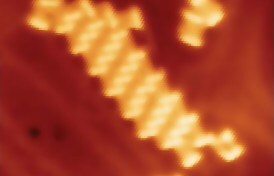 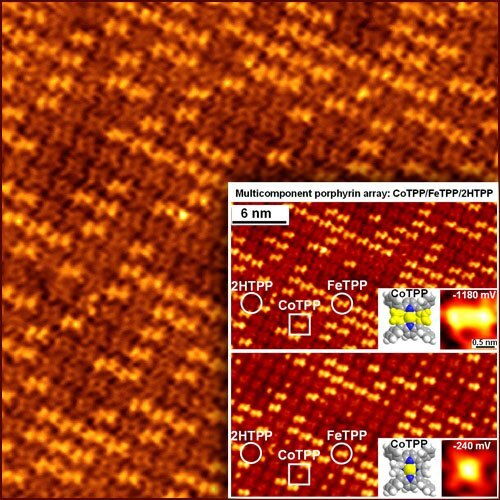 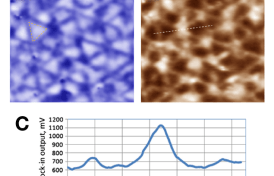 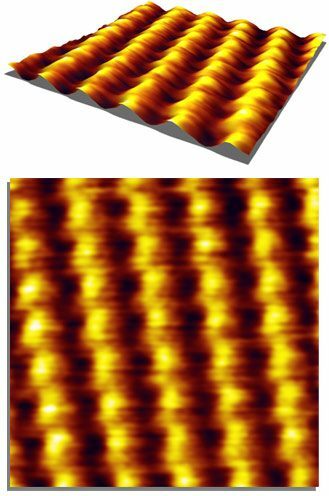 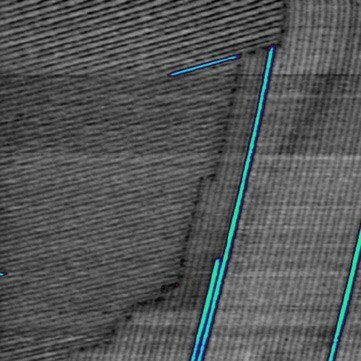 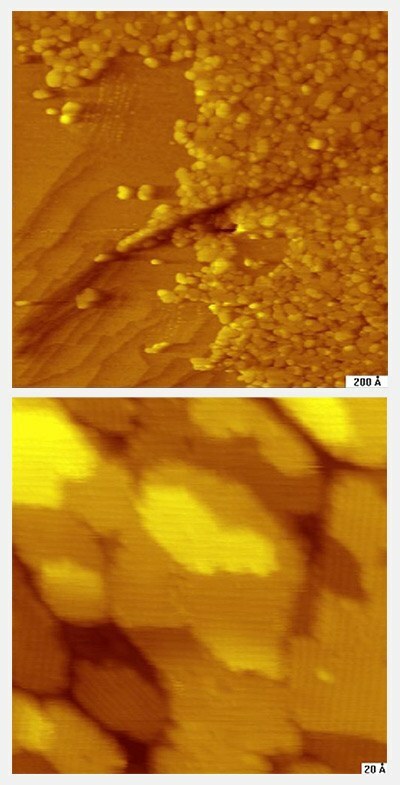 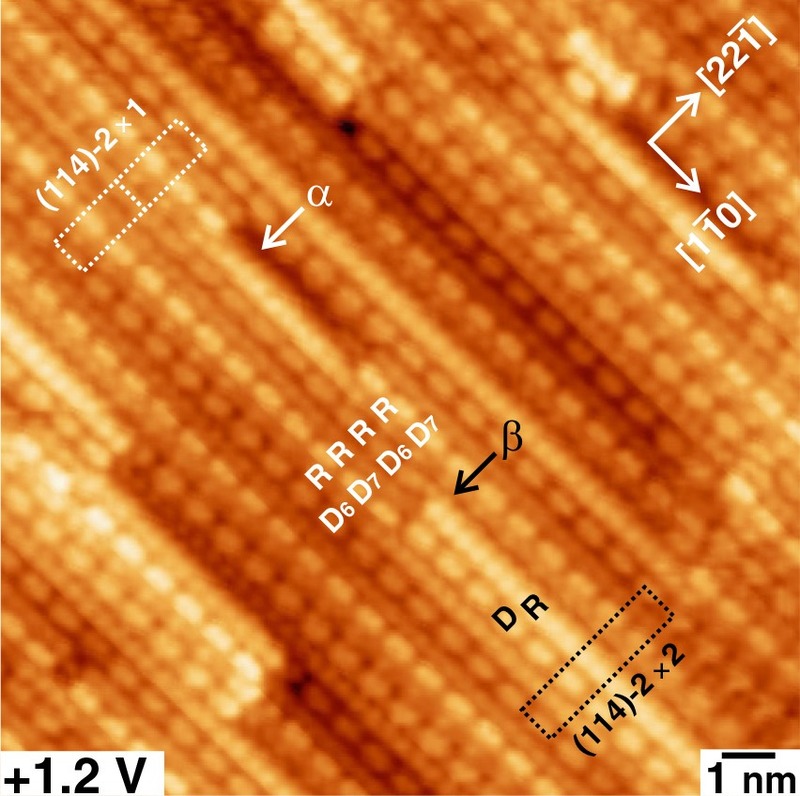 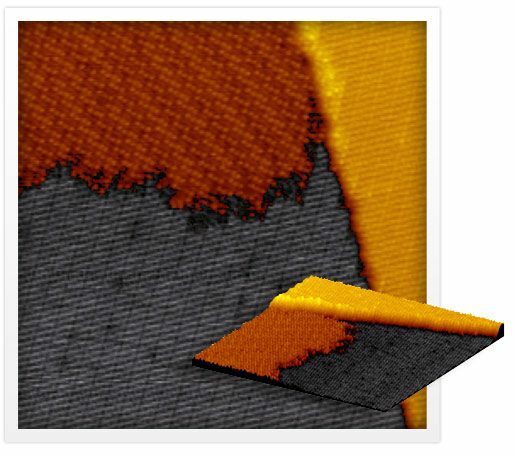 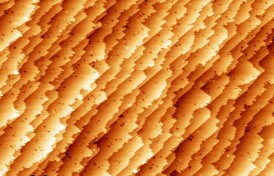 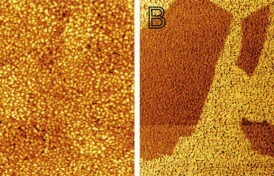 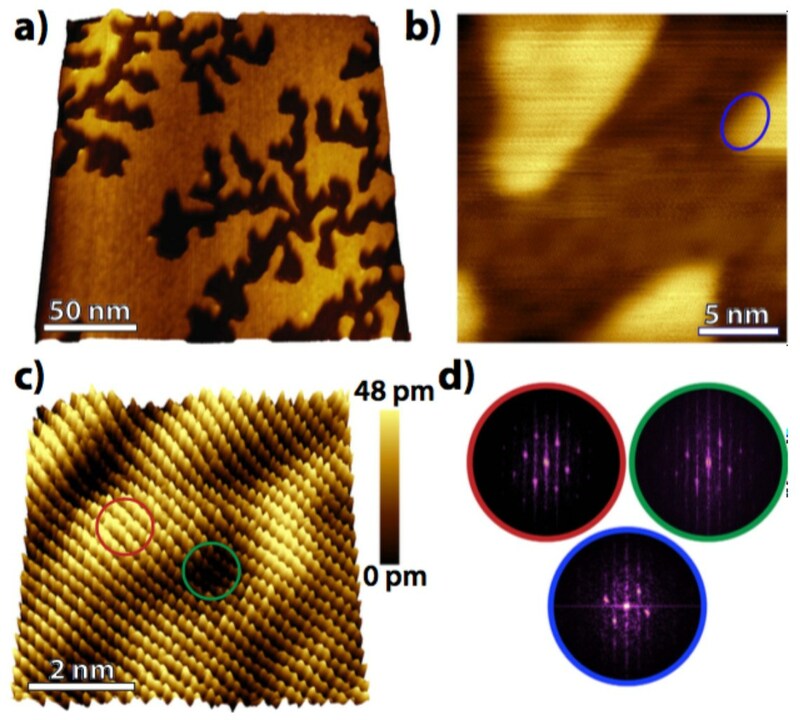 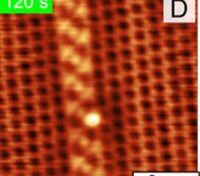 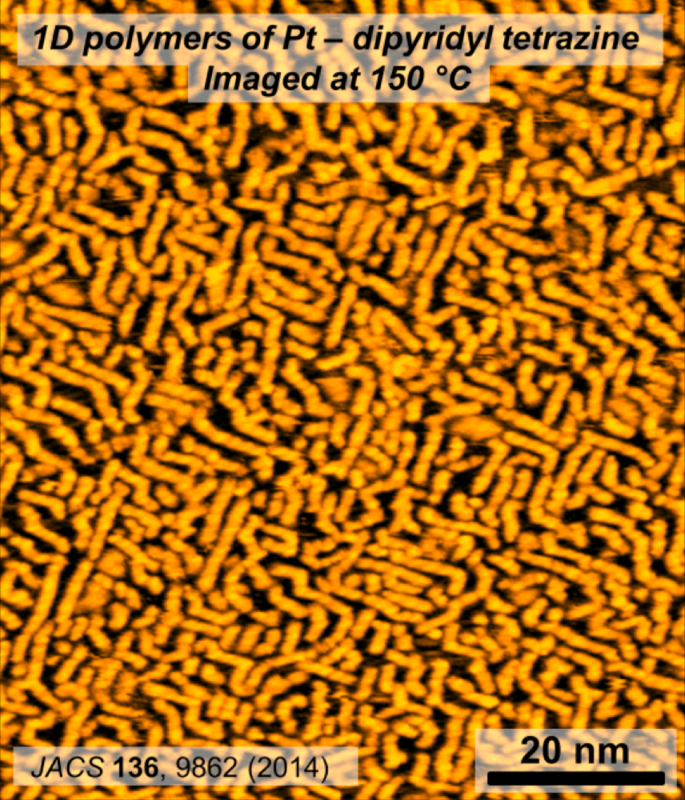 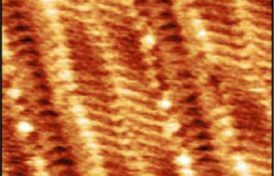 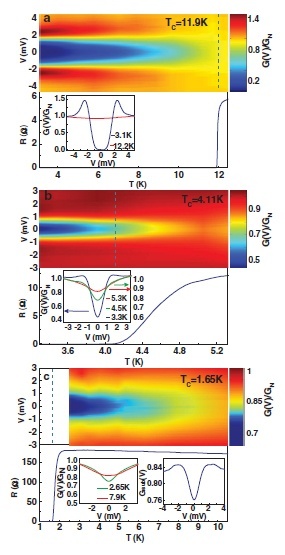 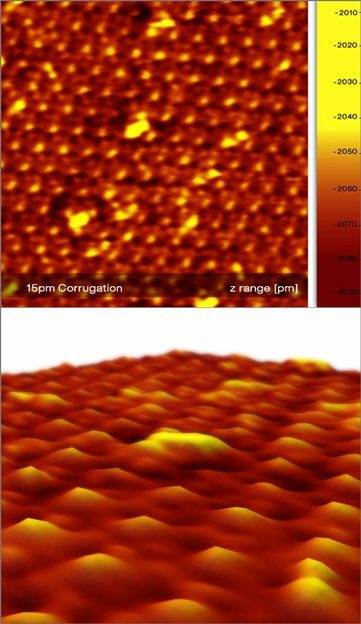 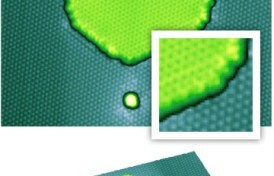 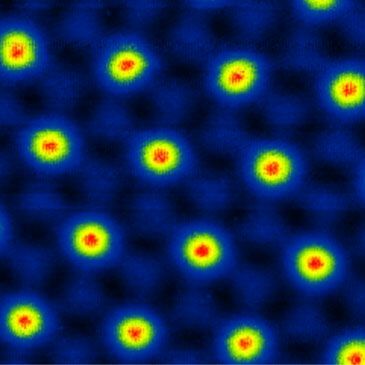 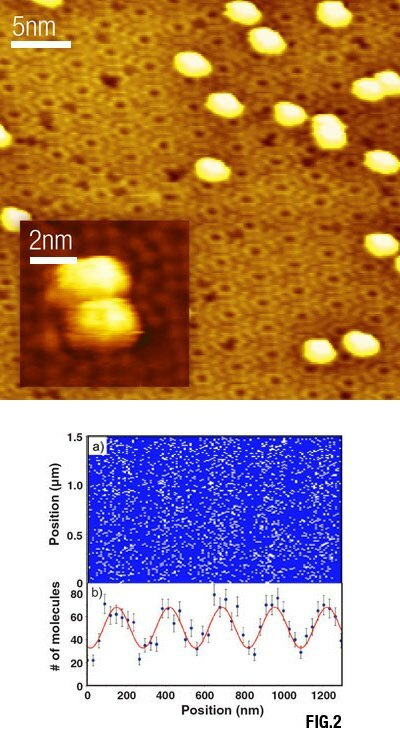 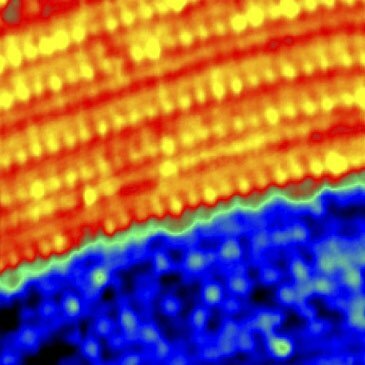 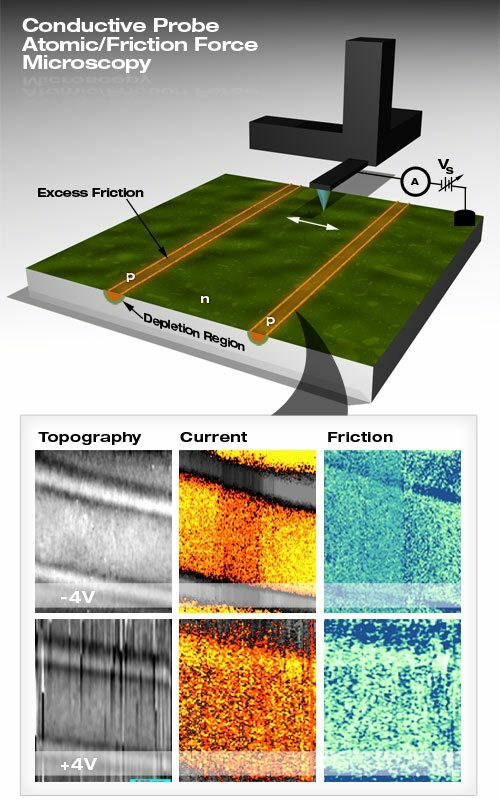 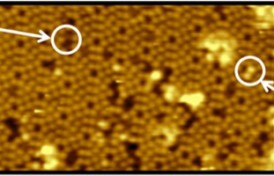 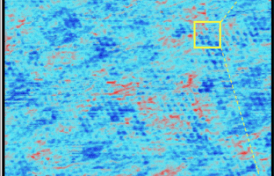 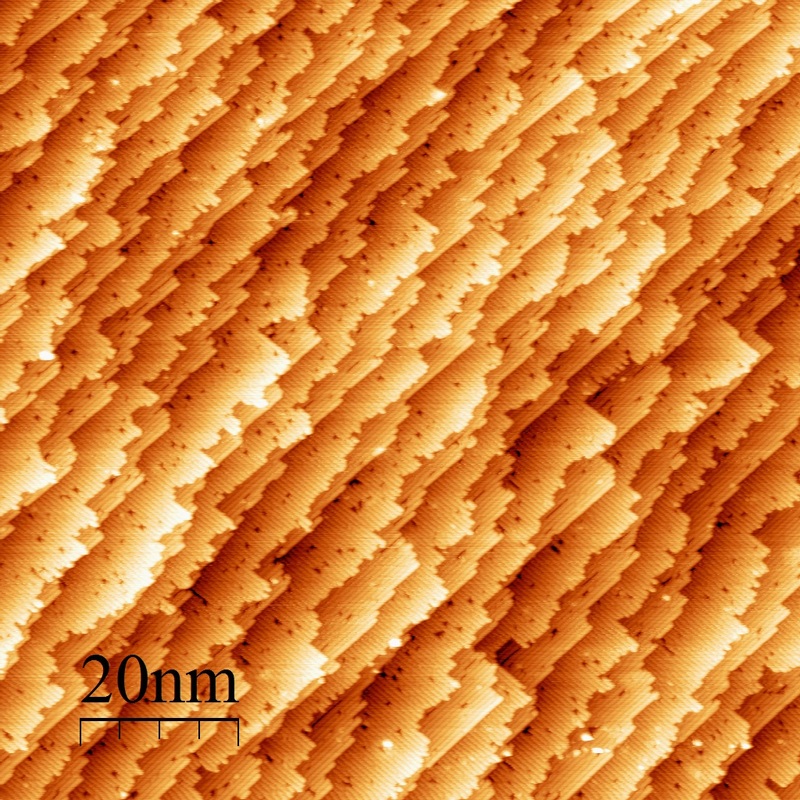 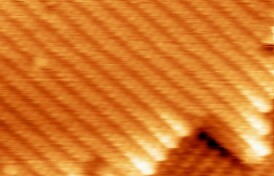 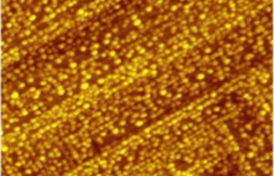 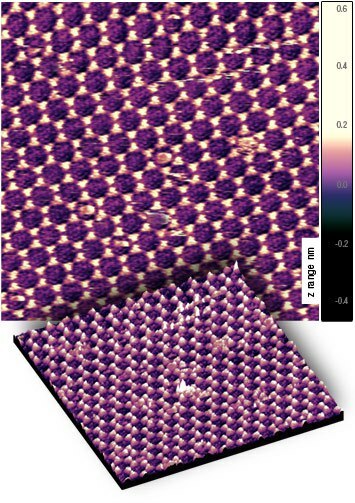 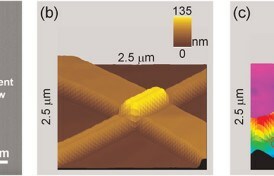 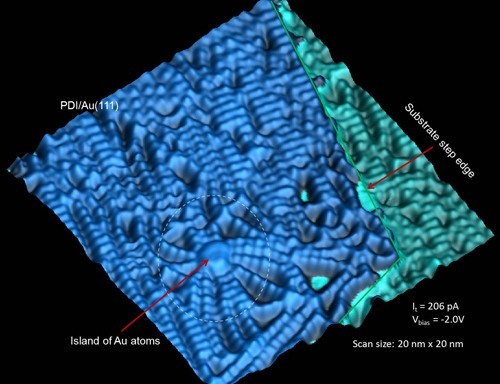 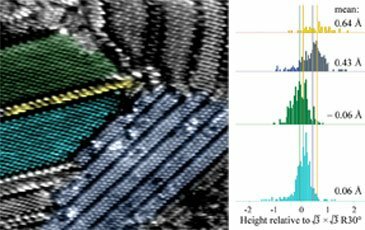 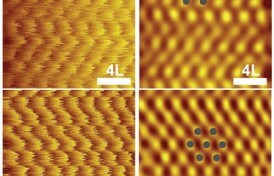 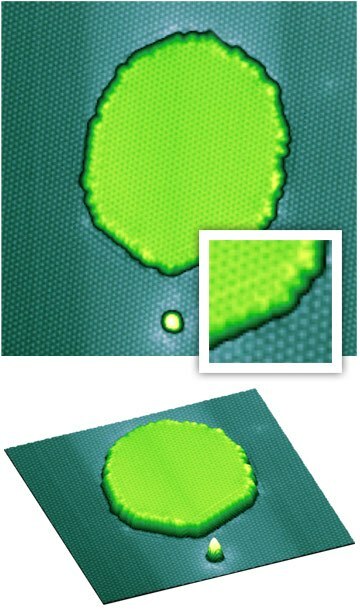 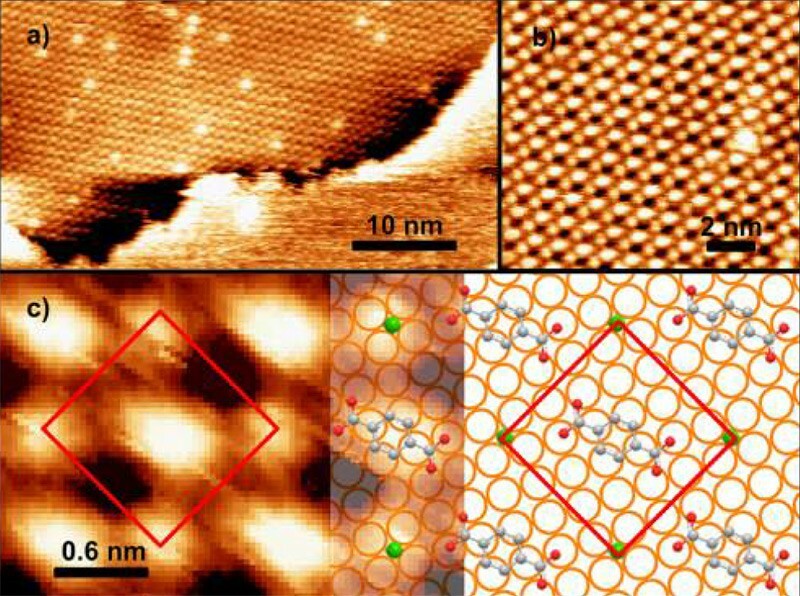 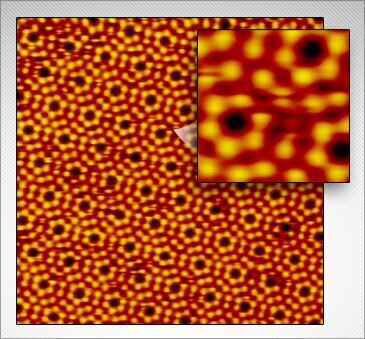 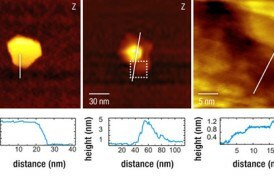 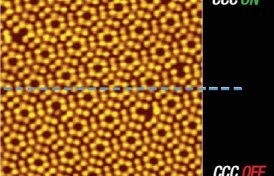 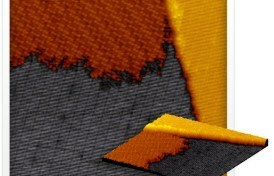 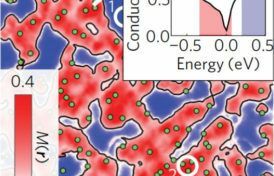 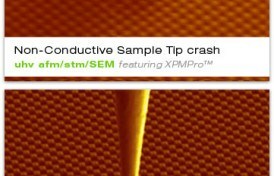 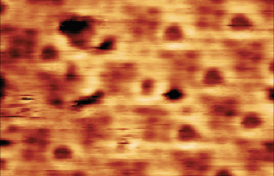 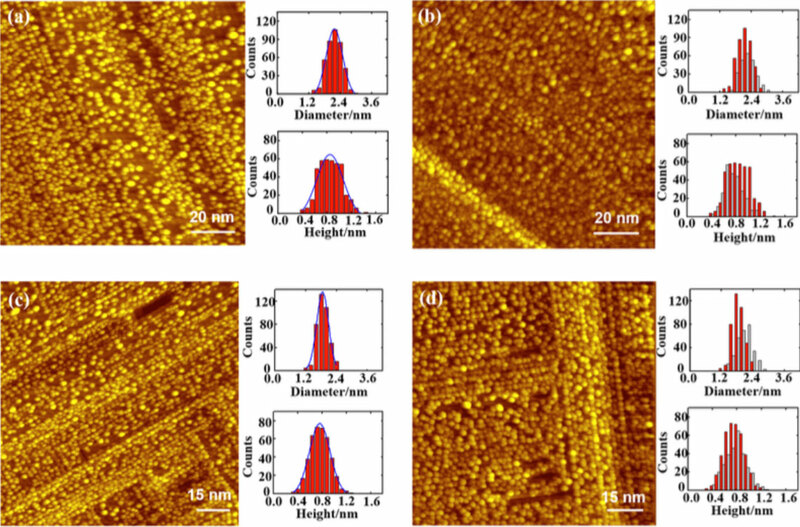 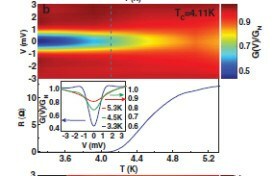 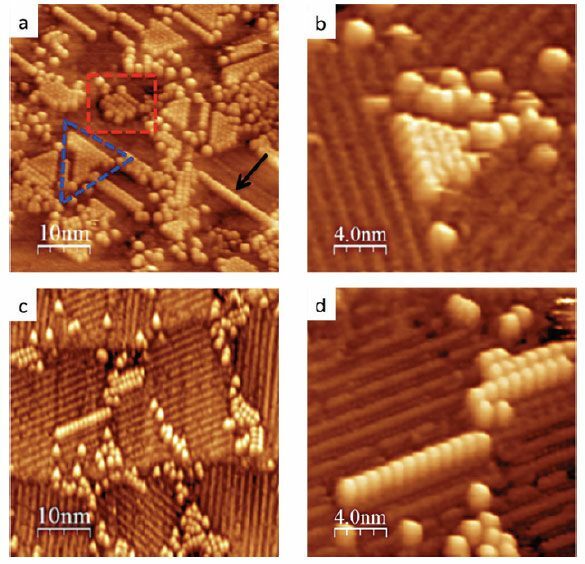 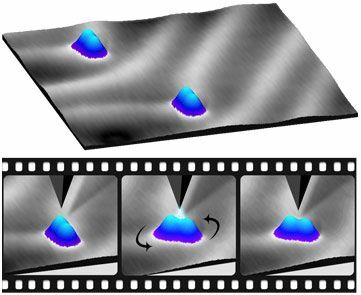 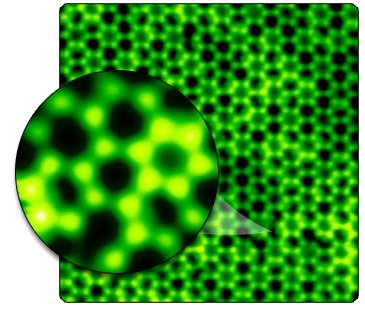 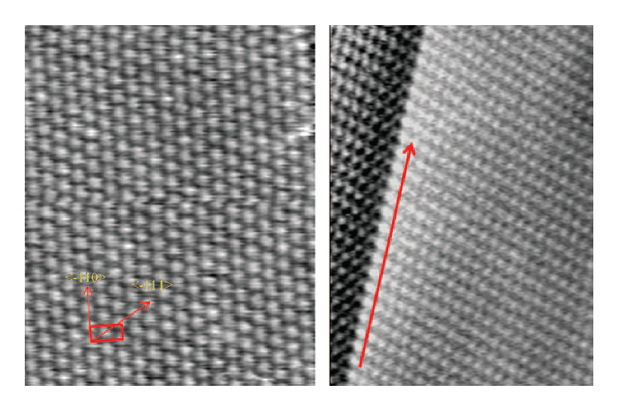 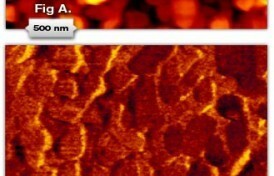 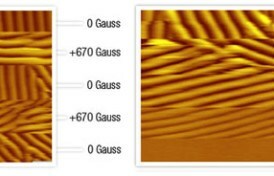 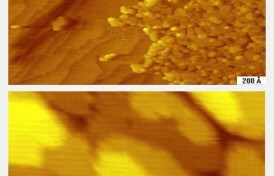 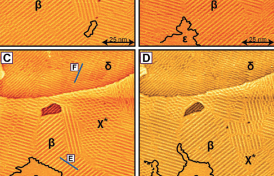 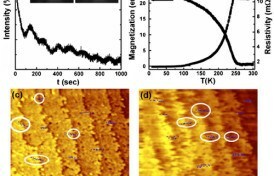 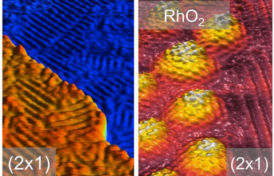 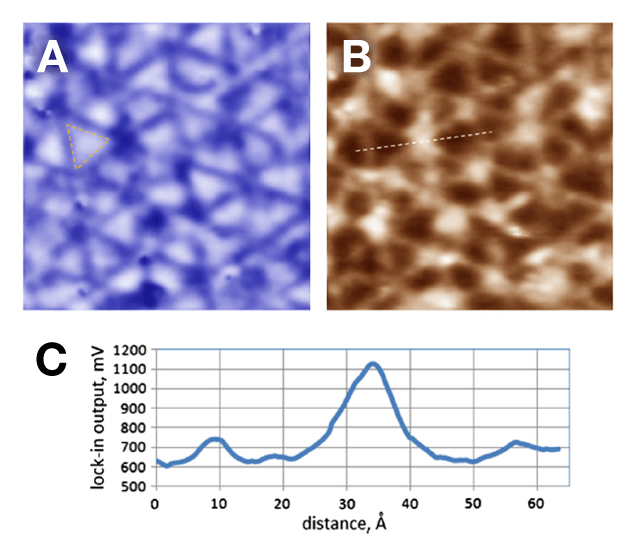 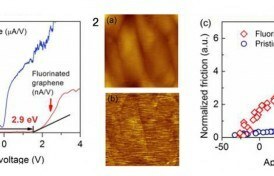 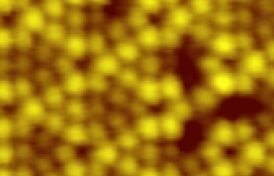 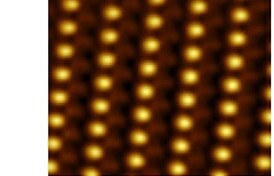 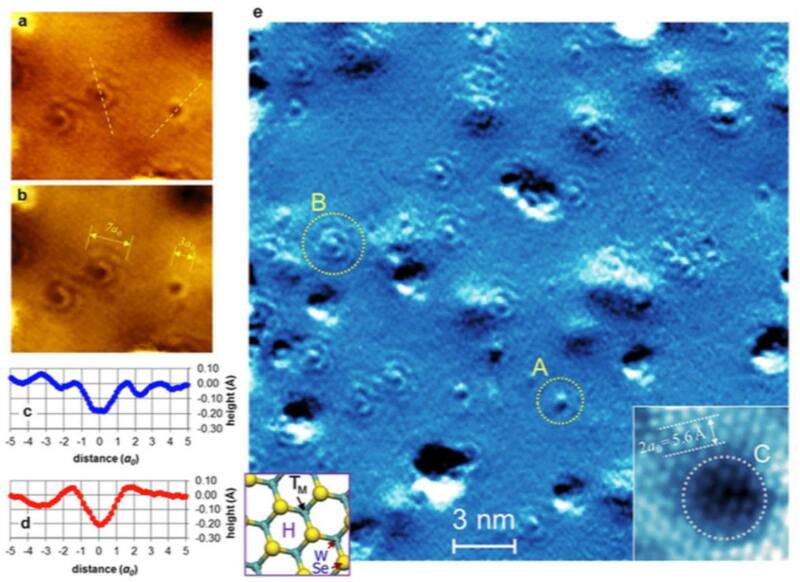 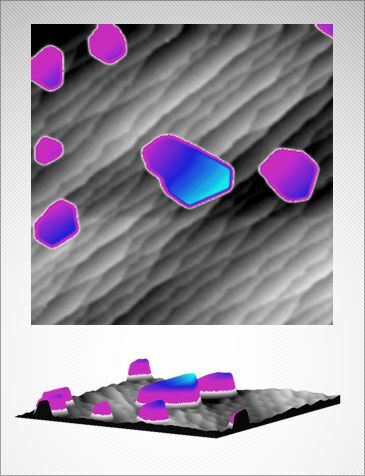 The topography and near-field images were obtained with shear-force microscopy using a chemically etched gold tip attached to a quartz tuning fork. 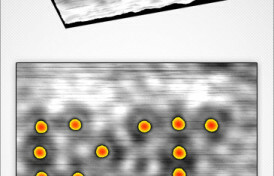 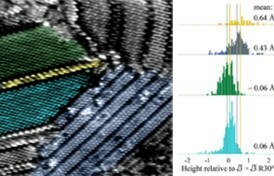 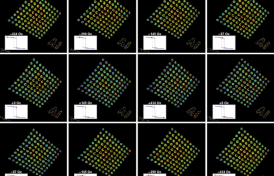 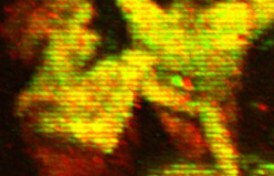 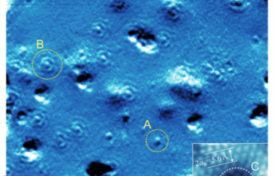 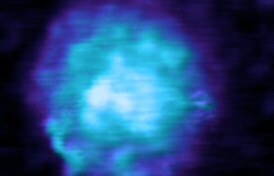 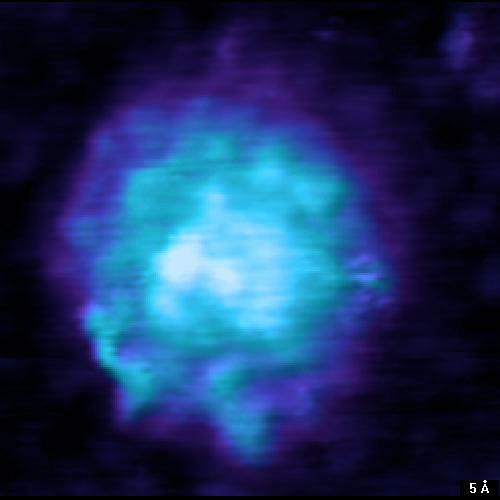 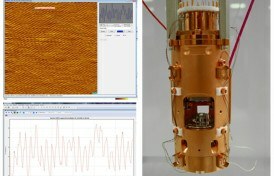 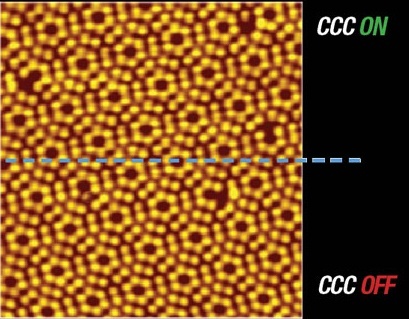 The confocal Raman instrument used in this experiment is based on an inverted optical microscope equipped with an x,y-scan stage. 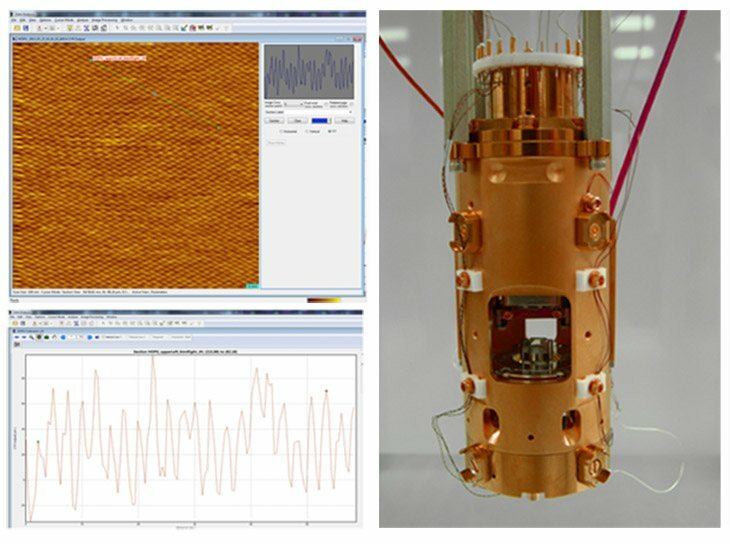 A high numerical aperture objective (1.4 NA) is used to focus a radially polarized laser beam with wavelength 785nm on the sample surface. 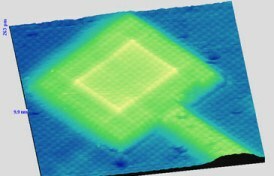 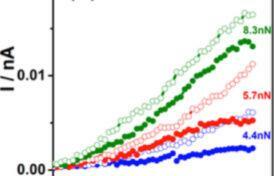 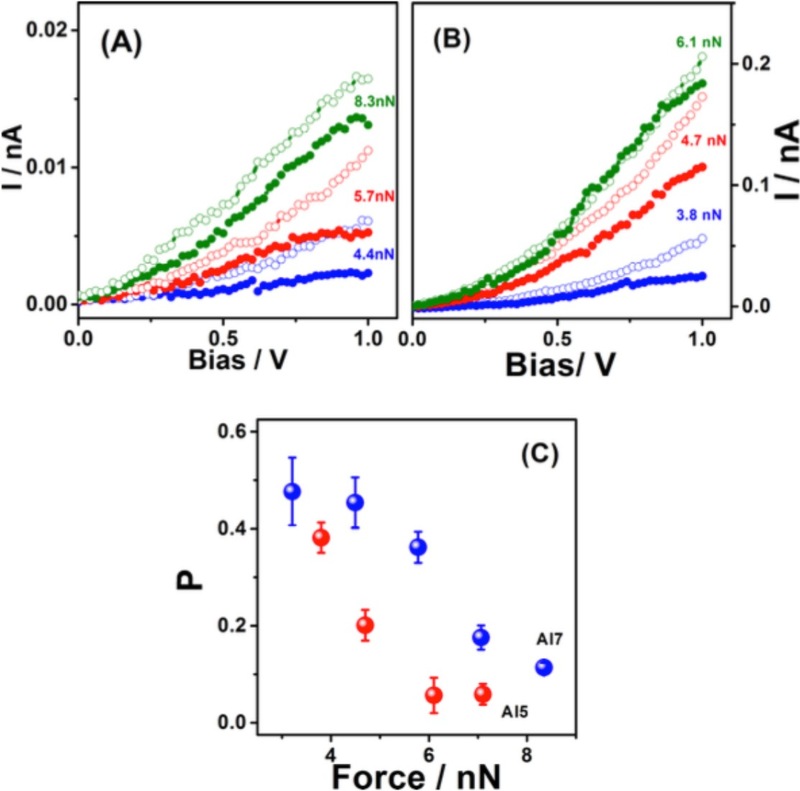 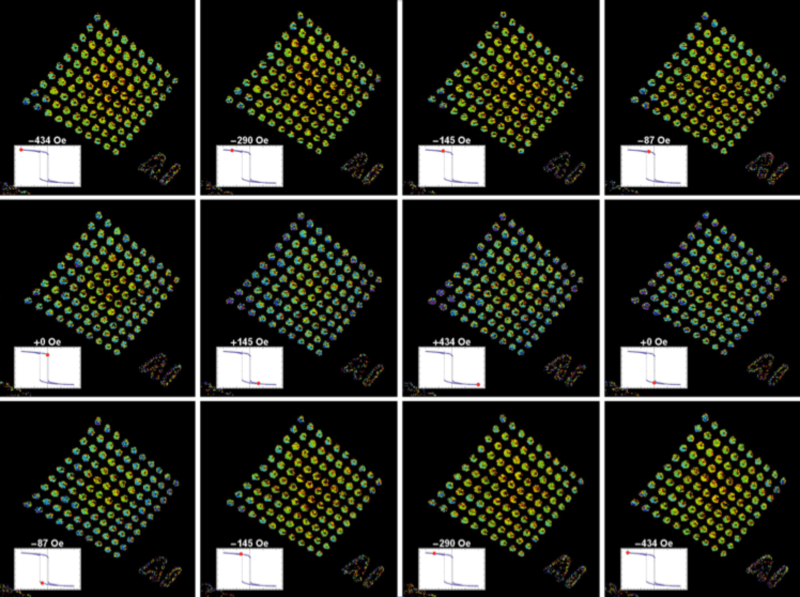 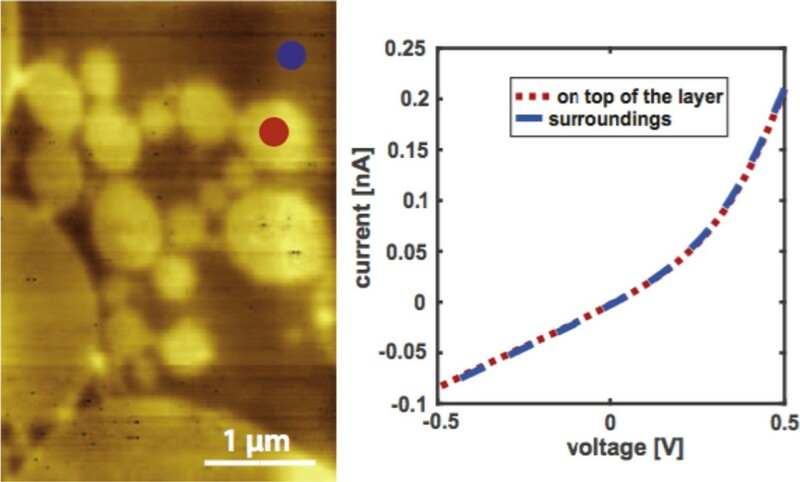 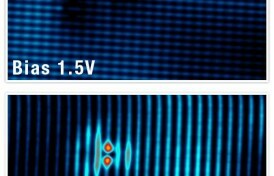 The scattered light is collected using the same objective and then detected with a single-photon counting avalanche photodiode (APD). 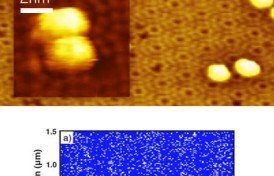 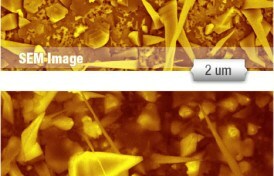 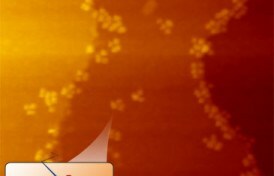 The images lateral sizes are 5 micra. 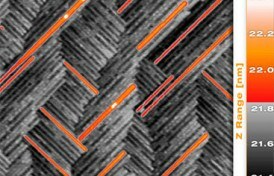 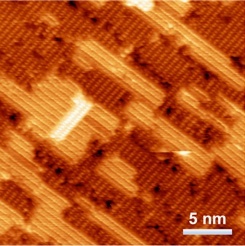 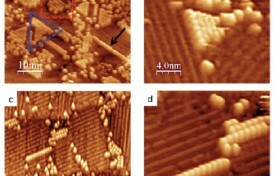 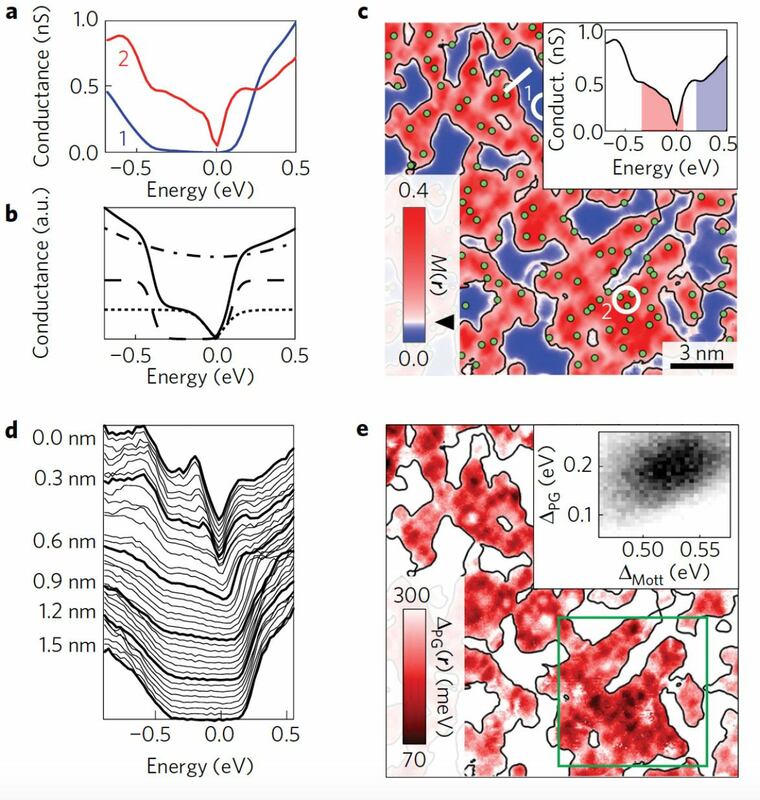 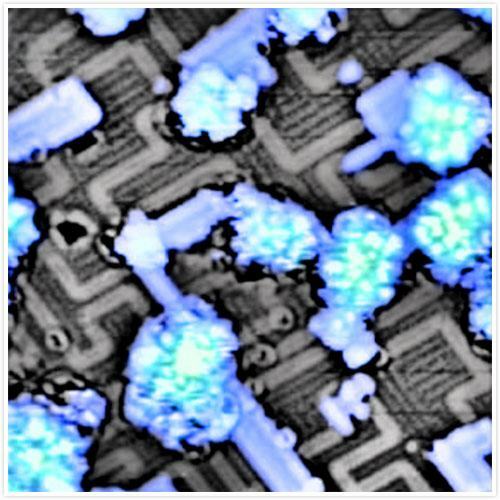 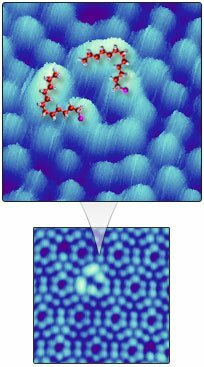 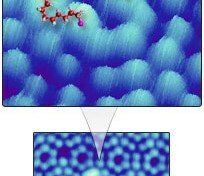 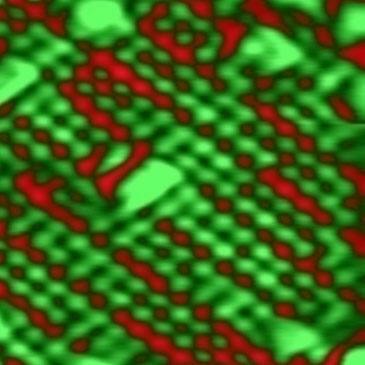 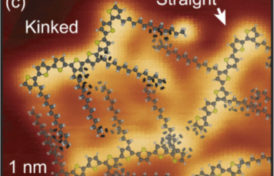 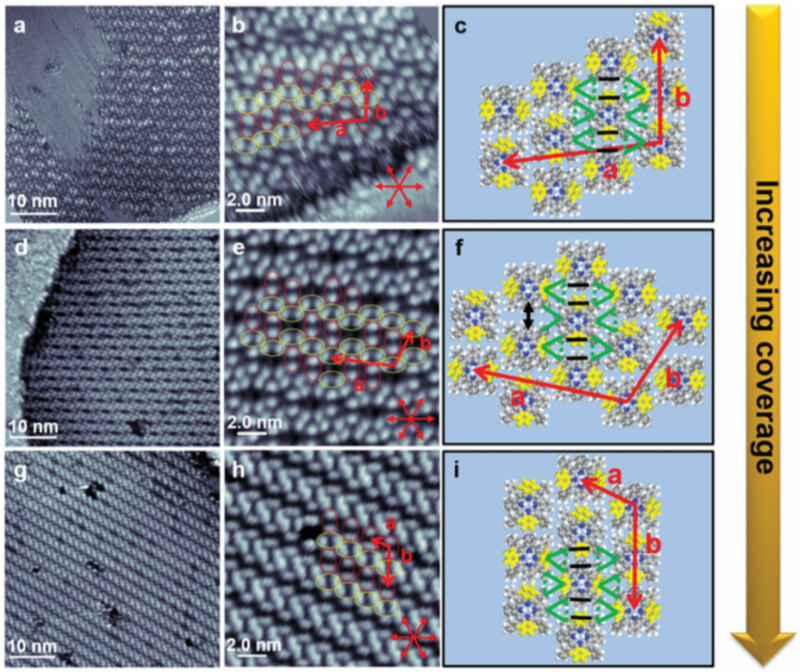 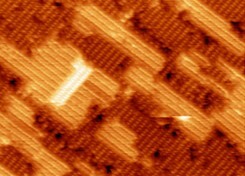 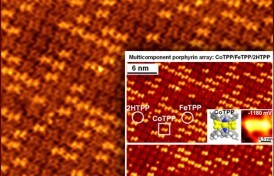 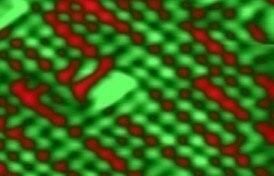 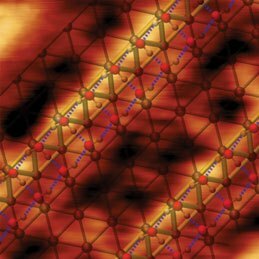 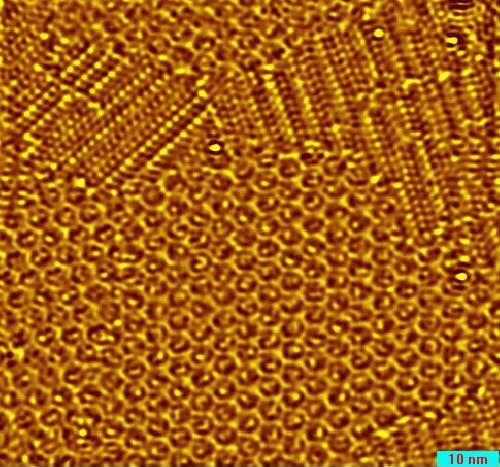 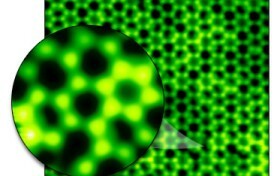 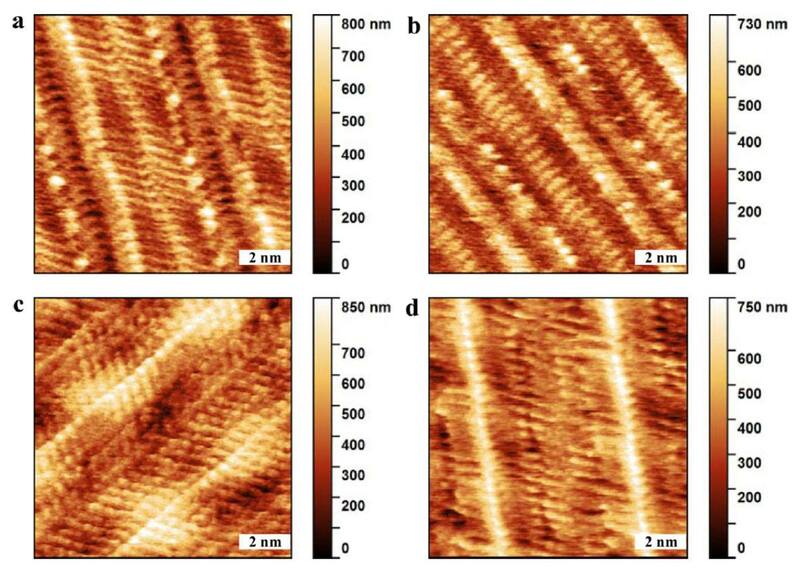 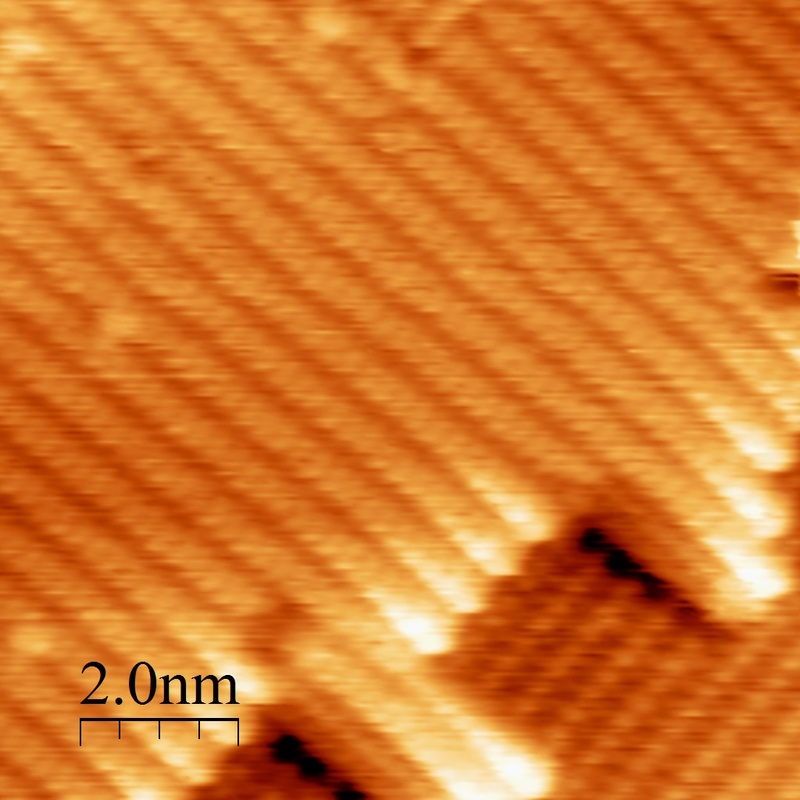 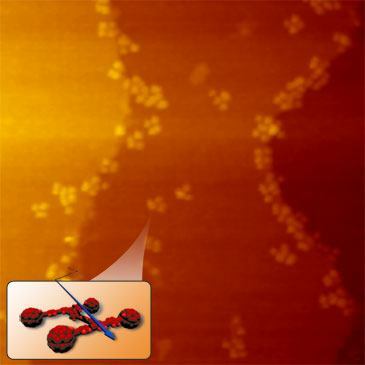 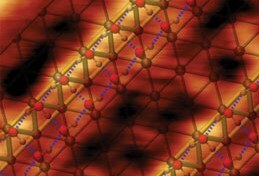 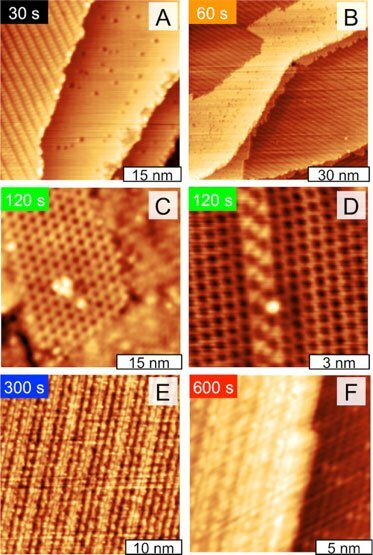 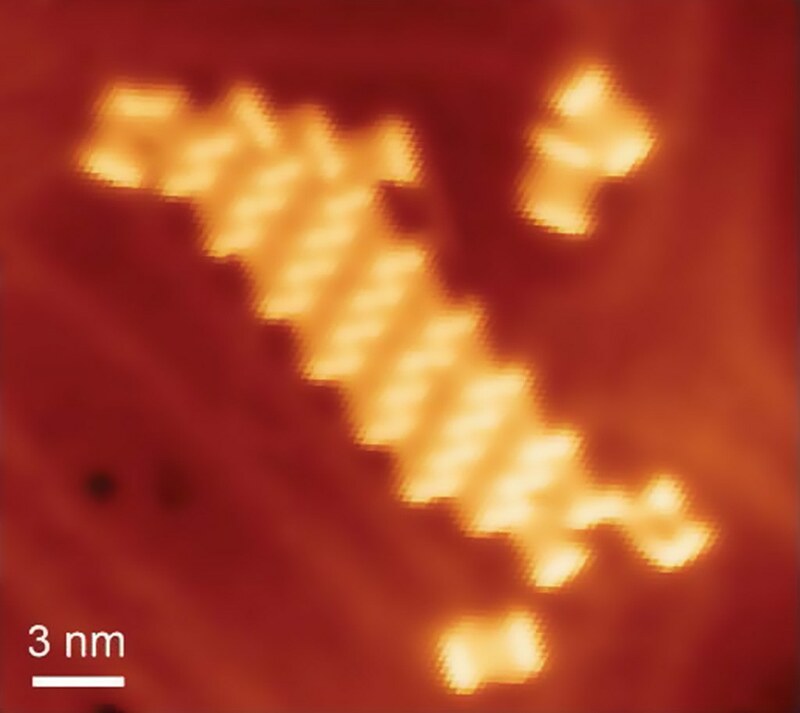 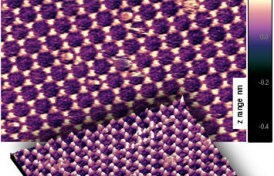 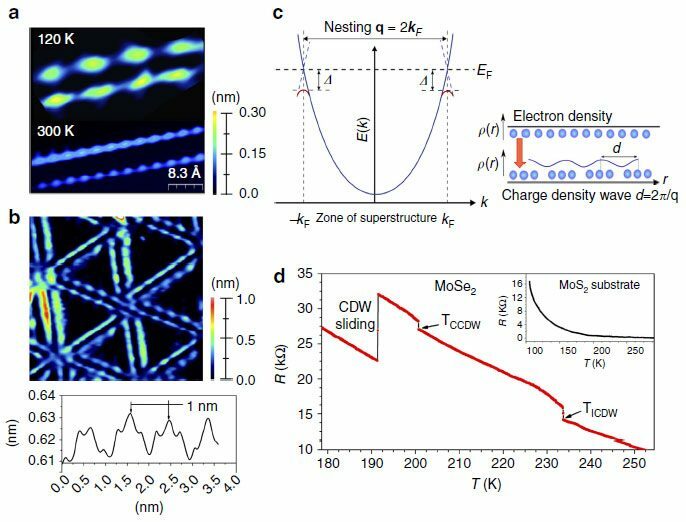 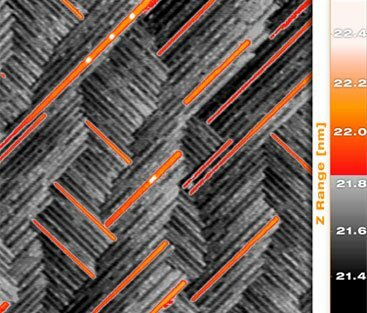 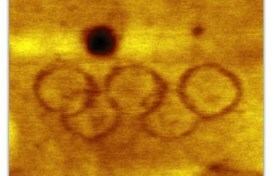 The sample is a self-organized carbon nanotube serpentine on a quartz substrate produced by Prof. Ernesto Joselevich’s group, at the Weizmann Institute of Science.